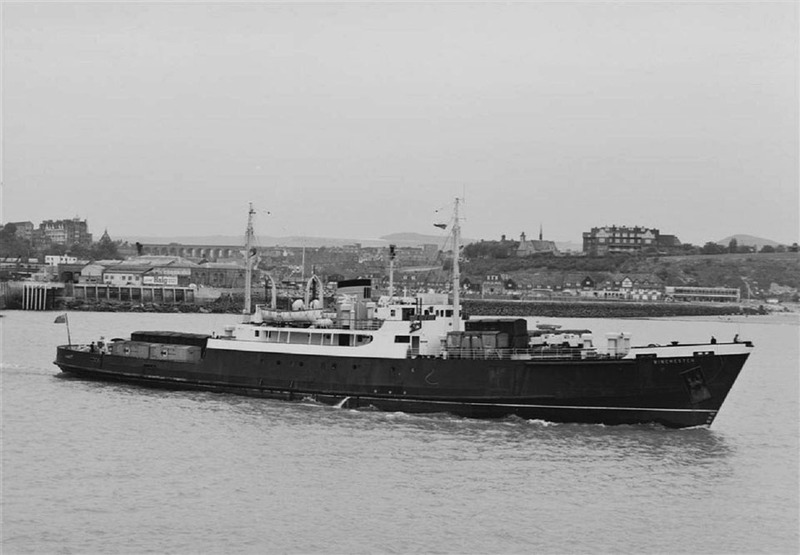 Steel twin screw motor vessel built in 1947 by William Denny of Dumbarton (Yard No 1403) for The Southern Railway, as a cargo vessel. Engines: Two 5-cylinder Sulzer diesels. 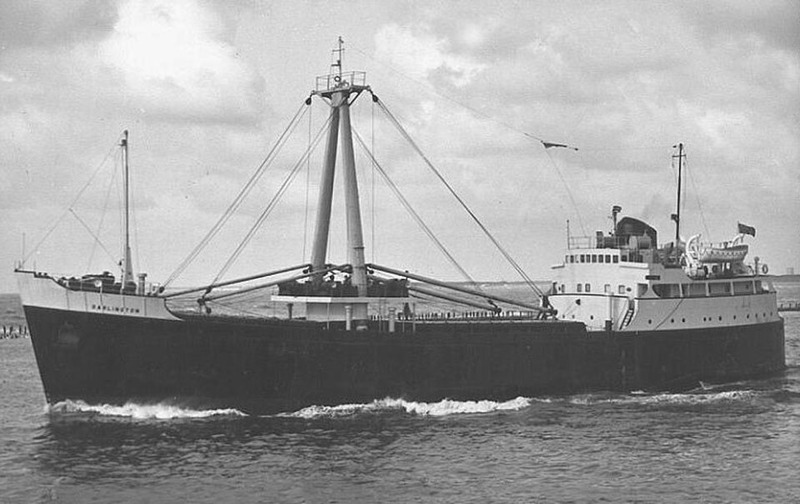 Capacity: 12 passengers, 650 tons of cargo (50,000 cu ft). 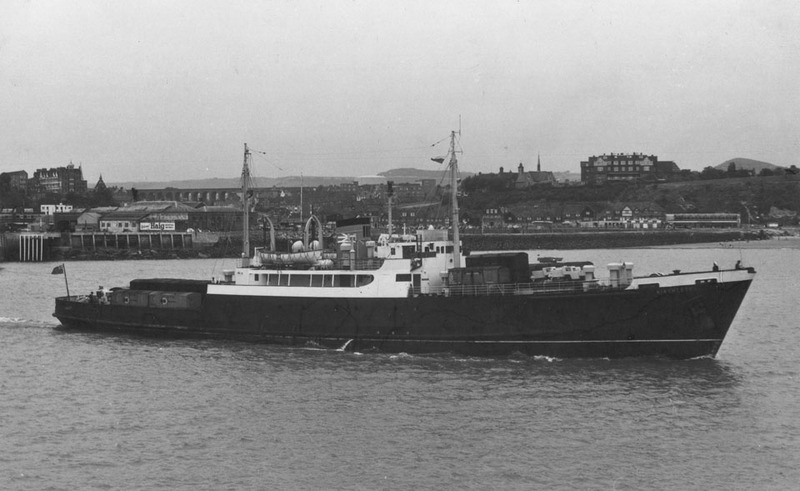 March 21st 1947: Launched at a cost of £215,154. 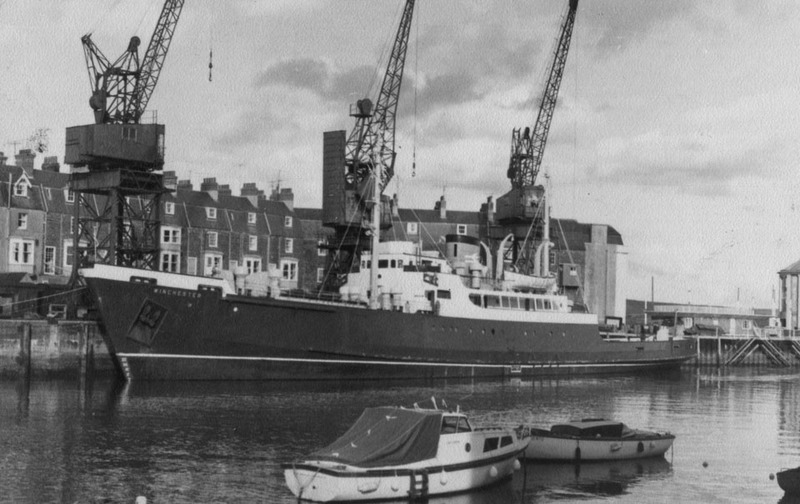 November 6th 1947: Sea trials. November 11th 1947: Delivered to Southern Railway. 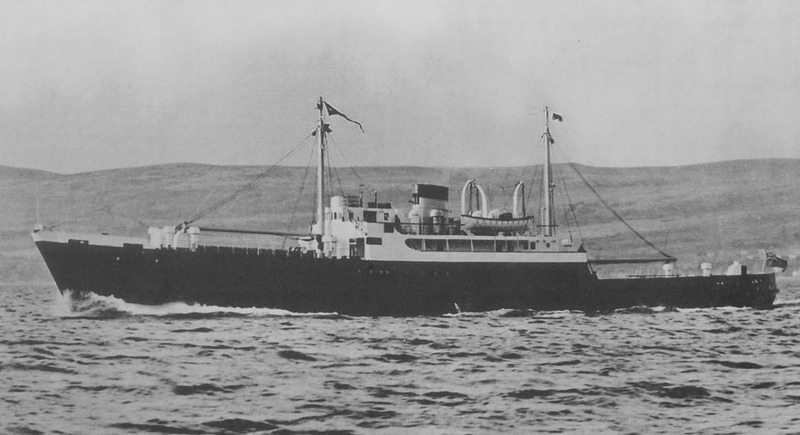 December 2nd 1947: Maiden voyage to Jersey. 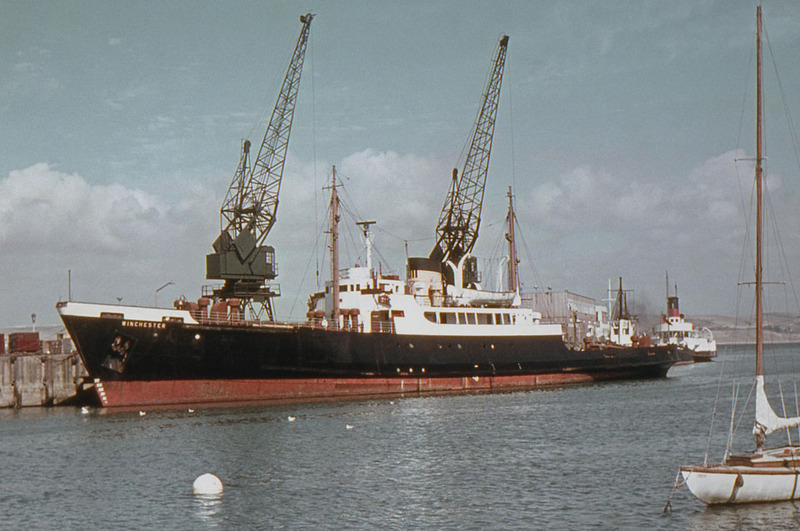 January 1st 1948: Registered to the British Transport Commission Southern Region. 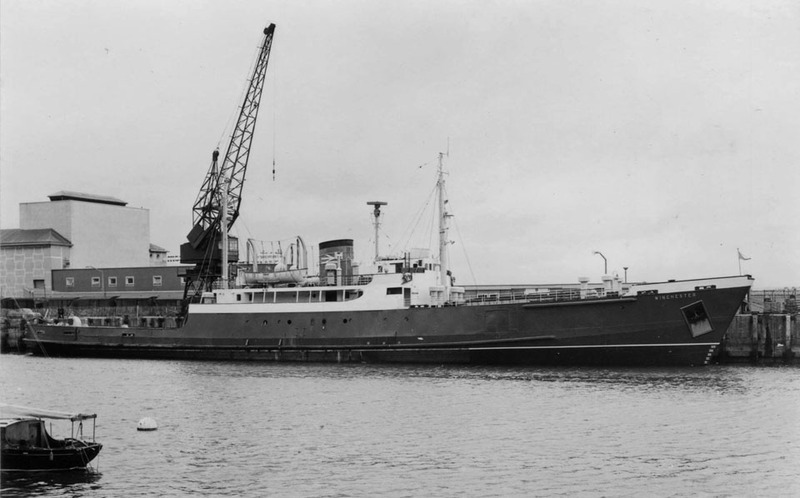 December 2nd 1955: Serious collision with the HASLEMERE in the Solent, causing severe damage to her bows. 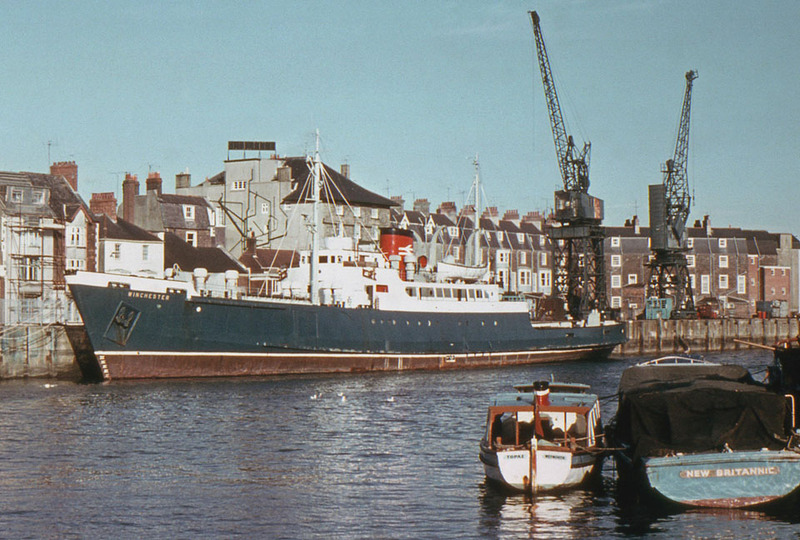 March 1st 1965: Transferred to Weymouth. 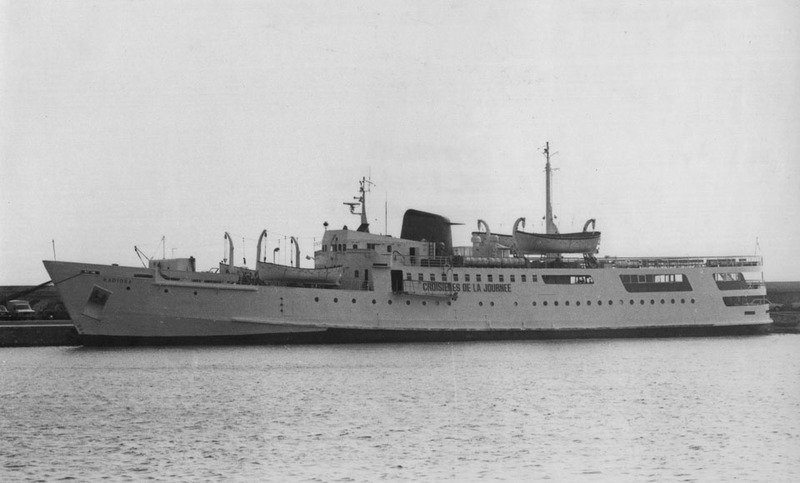 September 1966 : Went to Folkestone as a relief vessel (replacing DARLINGTON Associated Humber Lines). February 25th 1970: Hit the Roustel Beacon off the east coast of Guernsey, causing severe damage to the tower. 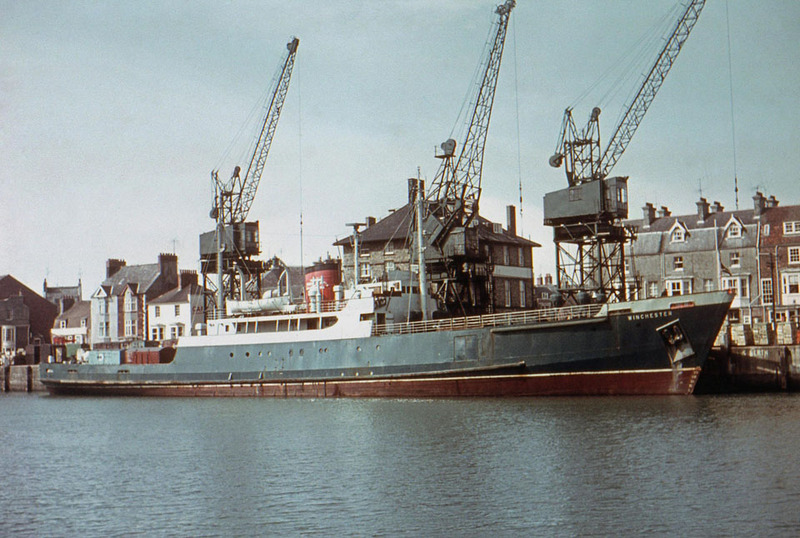 She was repaired at John Upham Ltd., St. Sampson. 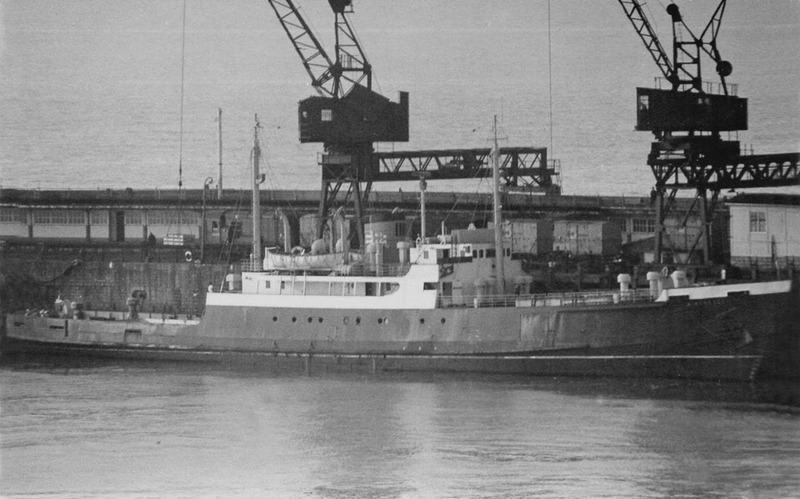 December 29th 1970: With the move towards containerisation, she became obsolete and, after having spent the last few years at Guernsey, she made her final trip. 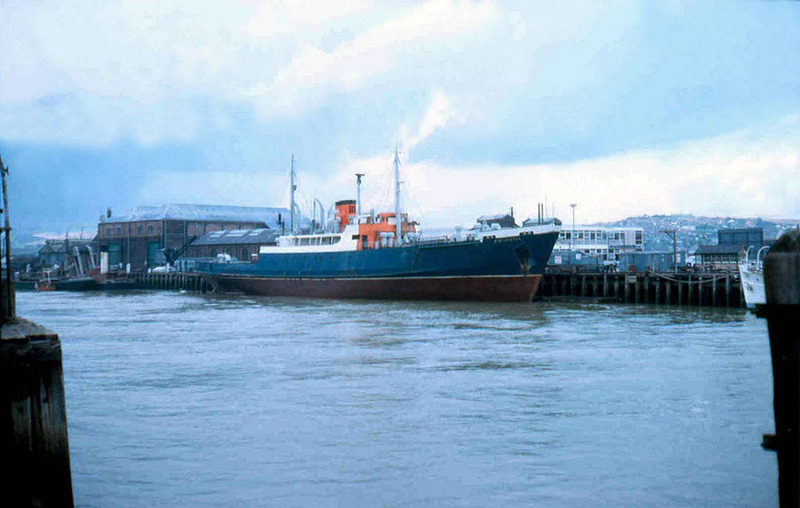 April 30th 1970: Renamed GRIDA at Weymouth. 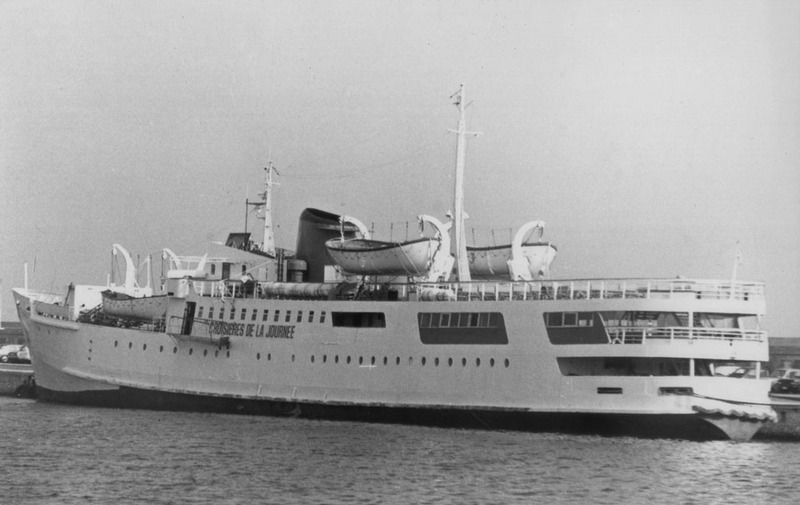 May 16th 1970: Sailed from Weymouth to Piraeus. 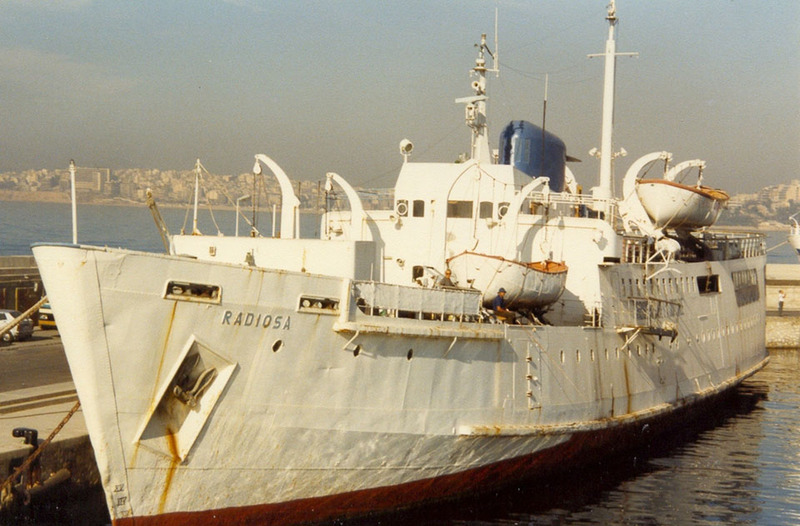 May 24th 1970: She arrived in Piraeus and was converted into a cruise ship and renamed RADIOSA, being registered to the Allied Finance SA, Greece, and operated in the colours of the Chandris Line. 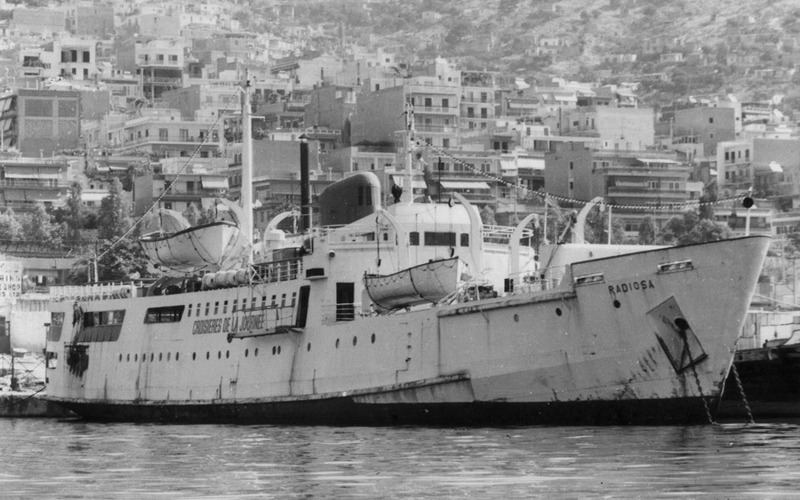 1972 : Served on the Port Rafti – Mykonos service. 1978: Short sea cruises on the French Riviera. September 1982: Sold to Radiosa Soc, Anon, Panama and introduced between Paleon Phaliron – Marina Flisvos. 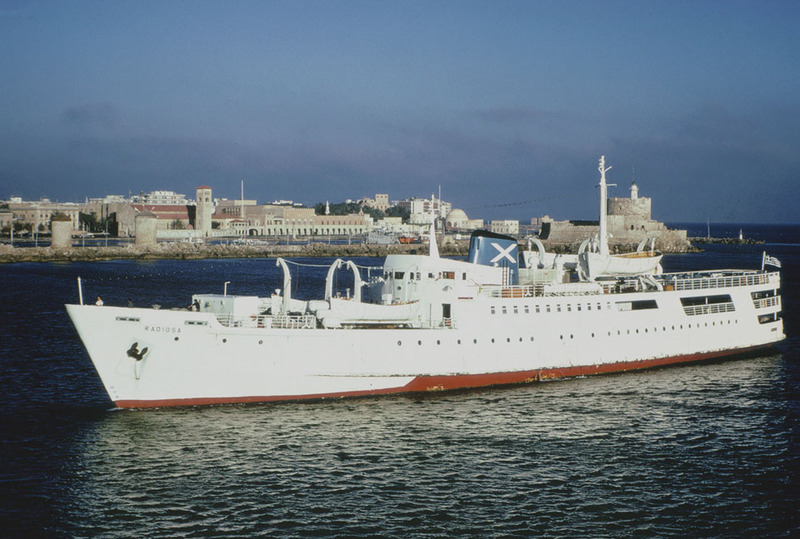 1985: Saw her operating coastal services in Crete from which she was laid-up in Perama. 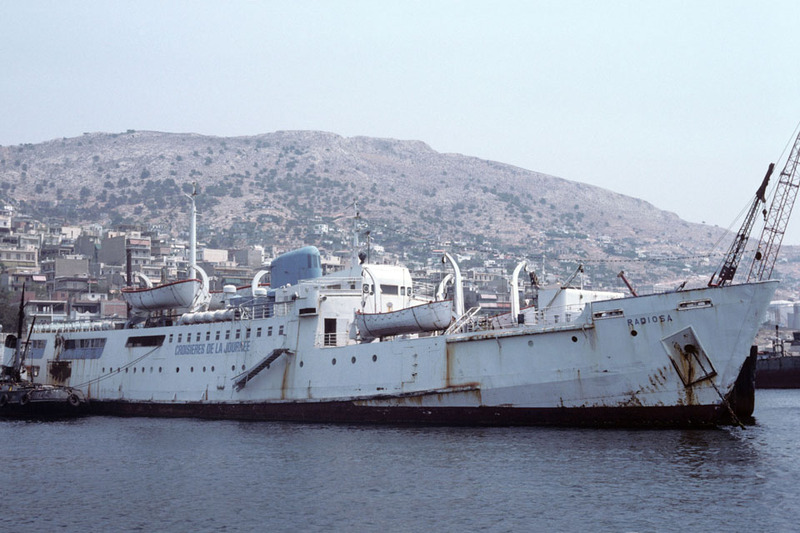 July 2nd 1995: Demolition commenced at Myriknopolous Shipyard, Perama? All information is believed to be correct and no responsibility is accepted for any errors or omissions found. All items included in this article are subject to © copyright. We would like to take this opportunity of thanking: Frank Heine, Ted Ingham, Ken Larwood, Derek Longly, William MacDonald, Simonwp and Michael Woodland for their assistance in producing this feature. Please try messaging me again.